Following last month's announcement that the 1984 classic Ghostbusters will be re-released in theaters for its 30th Anniversary, Sony Pictures has released a new trailer for the big event. Sony Pictures will bring Ghostbusters into over 700 theaters nationwide starting on August 29, with a newly restored and remastered 4K version of director Ivan Reitman's blockbuster comedy. 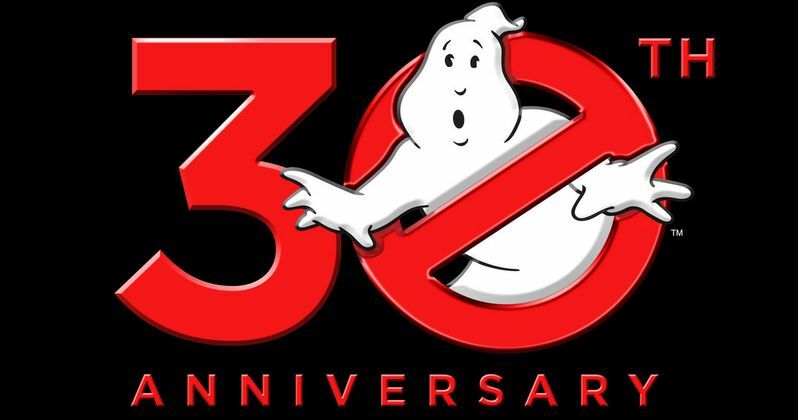 Take a look at the trailer below, then read on for more details about Sony's 30th Anniversary plans for Ghostbusters. University parapsychologists Dr. Peter Venkman (Murray), Dr. Raymond Stanz (Aykroyd) and Dr. Egon Spengler (Ramis) lose a research grant when their experiment methodology is proven to be bogus. The team decides to go into business for themselves and open Ghostbusters, a ghost removal service. After struggling to get on their feet, they are summoned to investigate the strange happenings in Dana Barrett's (Weaver) Central Park West apartment. What they discover is that all Manhattan is being besieged by ghosts and other worldly demons through a portal in her building.